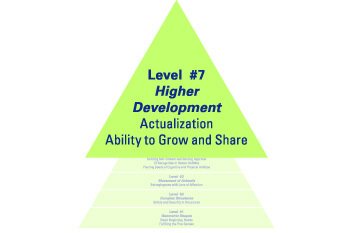 Pyramid – Kim's Kreations, Inc. The first step in a child’s developing order. From the beginning we use our senses to seek food, shelter, and clothing. The senses are seeing, hearing, smelling, tasting, and touching. 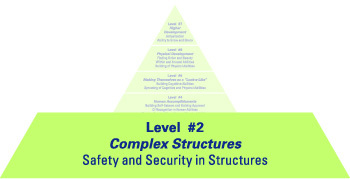 Children’s development includes basic shapes such as circles, squares, rectangles, and triangles. Puppets are customized with the five senses and four shapes. 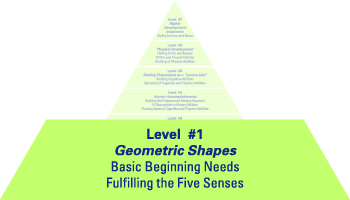 Visit Level #1 Geometric Shapes in the store! Children like to feel safe within their bubble and/or family unit. It is this safety and security that carries them through the many trials and tribulations of life. See puppets in the online store! Children watch and copy the movements of adults as well as domestic and wild animals, such as imitating their mother or an animal’s mother caring for babies. 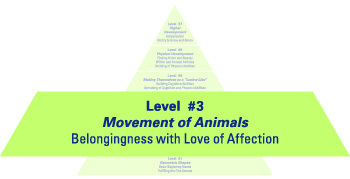 This exhibits a sense of “belongingness” and “connectedness” with love, affection, and empathy with family, animals, and in-animate objects. 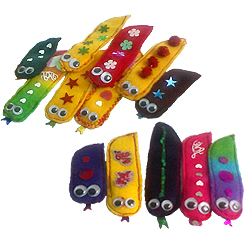 Find animal finger puppets in the store. 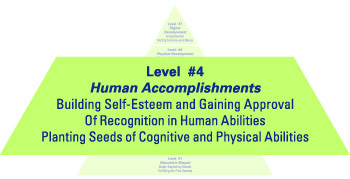 Building self-esteem and gaining approval of recognition in human abilities. 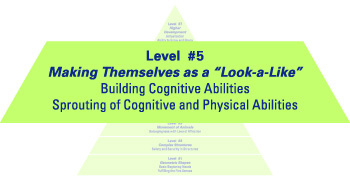 Planting seeds of cognitive and physical abilities. Finger puppets become more real, like human figures. Children begin to develop a sense of self and their learning is extended into reading, writing, and arithmetic. Browse our puppets in the online store! Children play the “look-a-like” game as they read more and want to try to be like other people, places, and/or things. This is expressed with costumes made to fit human finger puppets. 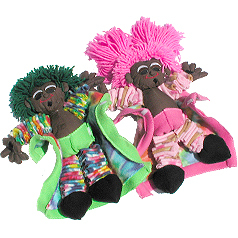 See Level #5 Look-A-Like Puppets in the online store. Puppets have expandable limbs and bodies to show flexibility while staying healthy by being physical. 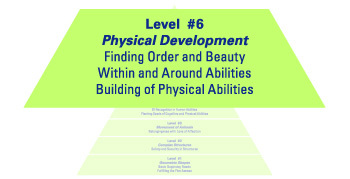 Visit the online store for Level #6 products! 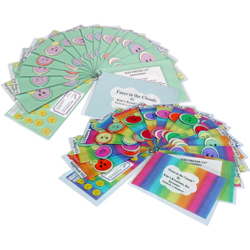 Hand and finger puppets take on form of any or all the previous combinations from within levels, plus cognitive skills of a neurological mind for learning and growing.